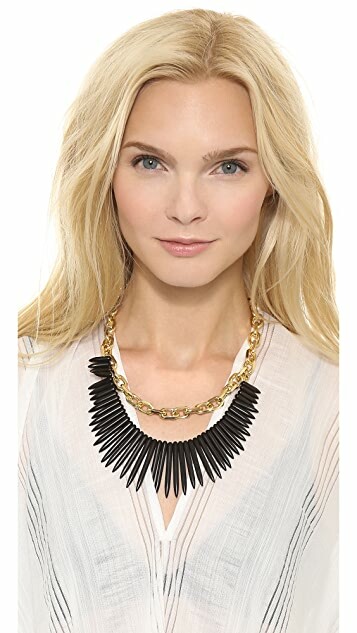 Jet-plate fringe fans from gold-tone chain on an eye-catching Kenneth Jay Lane necklace. 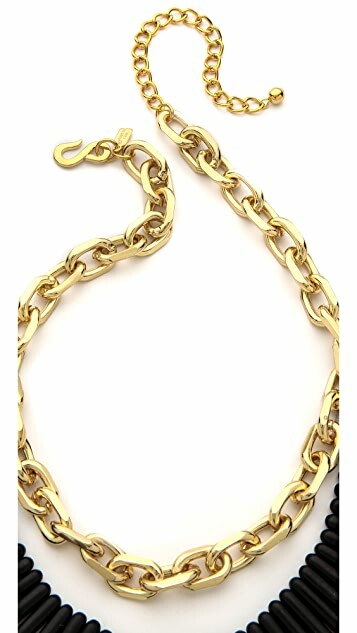 Adjustable length and hook-and-eye clasp. 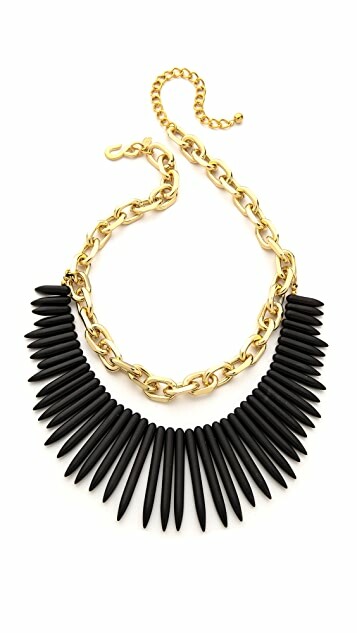 A statement necklace yet it isn't in your face large and blingy. I get compliments every time I wear!